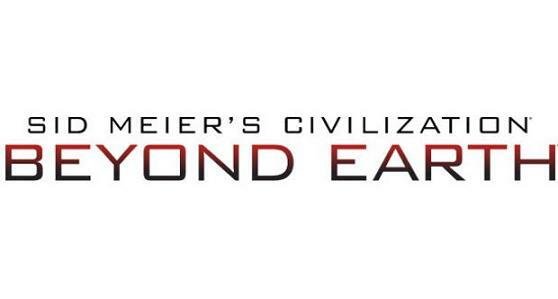 Beyond Earth is the next installment in the popular Civilization franchise. Developed by Firaxis Games, Beyond Earth takes a rather different approach to the normal foundations that make up the older Civilization games. If you hadn't already guessed, humanity is no longer living on Earth. Instead, we have launched ourselves in to Space to settle on a new planet, leaving behind the poisonous and dying planet that we once called "home". You can expect a totally new experience from this game compared to the older games, because this time around, you aren't building humanity up from nothing. Instead, you are advancing humanity to the next step in human evolution/existence: Space. Along with the announcement at PAX East for this fantastic-looking game this year, we recieved both a cinematic trailer and a gameplay trailer. Beyond Earth is set to release 24th of October, 2014, exclusively for PC. Firaxis Games have been developing the Civilization video game franchise for 23 years now. Civilization I was released in 1991, and since then Firaxis Games have been working to further develop their unique titles to allow us to build the history of humanity as we see fit. The way that they have decided to present their games grants the user the freedom to play as any one of a number of world leaders, from a vast multitude of different countries. This freedom expands to changing historical city names, and building said cities wherever you like. If you wanted to declare war on a specific country, you can. You literally have humanity's history at your fingertips. As some more "experienced" Civilization veterans may know, the only constant enemy was the Barbarians. Now, in Beyond Earth, the Barbarians are gone. This time, you'll have alien creatures to contend with. You do have a choice, though. If you decide to leave them alone, they will slowly lose interest in you. However, if you do decide to attack them, just be aware that some alien units (Siegeworms) do possess the power to completely raze parts of cities immediately. Of course, not all of the alien units are capable of such a feat, so you should probably think twice about killing a small alien unit, just in case he has a big brother. A new feature that Beyond Earth brings is quests. These quests aren't mandatory, but they are there if you would like to add a little narrative to your gameplay. Of course, you do receive additional benefits for completing these quests, such as science or gold. For those who played Civilization: V, you might remember the introduction of State Cities, with which you could conquer, defend, or trade with to better your civilization. These cities were not in the game to win, they were there to add another gameplay element. These have returned in Beyond Earth, but take the form of military bases, set up by humanity. Additionally, there are Resource Pods scattered around the world, sent ahead of humanity's arrival. By discovering and investigating these Resource Pods, you can get more resources to help build your civilization. On top of that, there are now alien remains to be found too. These remains can grant you resources, or even access to alien units that fight under your command. Do you like to play dirty? If so, you will most definitely enjoy sending your spies on covert ops in to other cities to generate "intrigue". The "intrigue" system is pretty simple: The more intrigue you generate, the higher-tier covert ops can be carried out. Two examples of higher-tier covert ops are smuggling, or planting "attractors" to attract alien units (Siegeworms, to be specific) to devastate enemy cities. An example of a lower-tier covert op would be surveillance in that city. It seems as though spying on the other factions could become a large part of the gameplay. As I mentioned earlier, there is a gameplay video that also shows off more new features, such as the Tech Web, and Affinities. Civilization: Beyond Earth is looking like it will be a great space-age game, and I personally am not a huge sci-fi fan. The attention to detail and amount of freedom this game will provide will really set the user free, allowing many different futuristic techs, units, and buildings to be created, and allow the gamers to advance in to the next step of humanity. What do you think about Firaxis Games taking a step forward in to the space-age? Will you be buying this game?